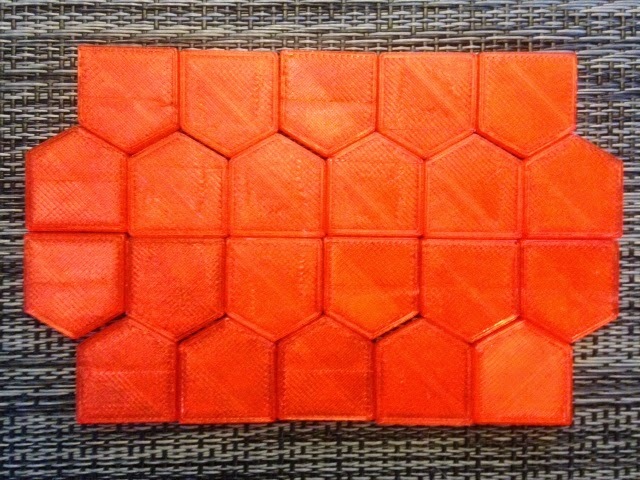 Today we fix our fail from Friday (Day 263), and print Cairo pentagons and prismatic pentagons from data kindly provided by Frank Morgan's student Maggie Miller at Williams College. 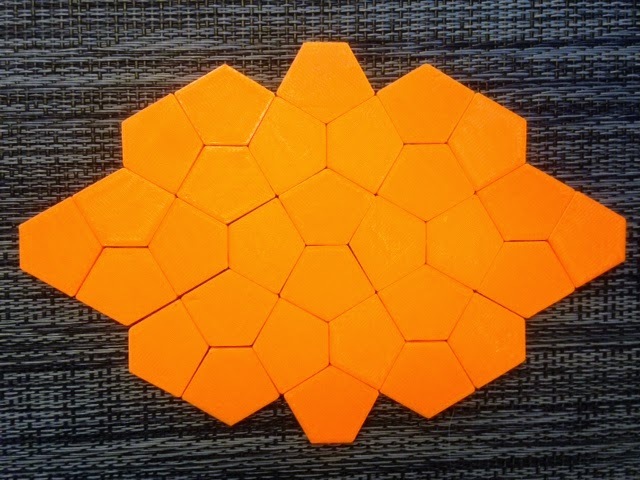 I have a special place in my heart for tessellating pentagons because of the late, legendary Paul Sally at the University of Chicago. While I was an undergraduate at Chicago I had very little money and needed all the extra work I could get. 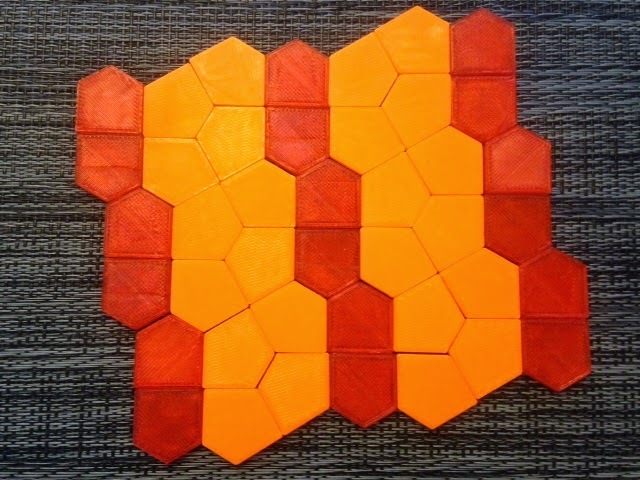 Sally was kind enough to hire me for small jobs whenever he could, and one of the jobs he gave me was to measure, cut, and arrange paper models of various types of tessellating pentagons. I was terrible at this job; the smallest errors in angle or cut would magnify as they propagated through the tiling. One other time Sally hired me to clean every individual leaf of a large tree he kept in his office with a tiny spray bottle. I totally rocked that job. Settings: Printed on a MakerBot Replicator 2 on .3mm/low resolution.